The Story of Dan Bright works on multiple levels. First and foremost, it’s a cage-rattling exposé of the corrupt criminal justice system of New Orleans. It’s also an honest account of criminal life within a major American city. In writing the book, Bright teamed up with Justin Nobel, a prominent magazine journalist. But as the title page makes clear, this is Bright’s story, and Nobel has only a passive listening role as journalist-recorder. Bright grew up in the projects of New Orleans. By his teen years, he’d become one of the most powerful drug dealers in the city, working directly with a Colombian drug lord in Florida. His criminal enterprises are detailed in a terse, matter-of-fact style, revealing an inner-city economy in which drug dealers do more to reinvest in the community than the government does, taking over the municipal functions of an absent state. The corruption and malfeasance of that state become apparent in the second half of the story when Bright is framed for murder. He finds himself pitted against crooked cops and prosecutors hell-bent on sending him to death row for a crime he didn’t commit. The chapters set at Louisiana’s infamous Angola prison are harrowing and disturbing and expose the backward state of American prisons. 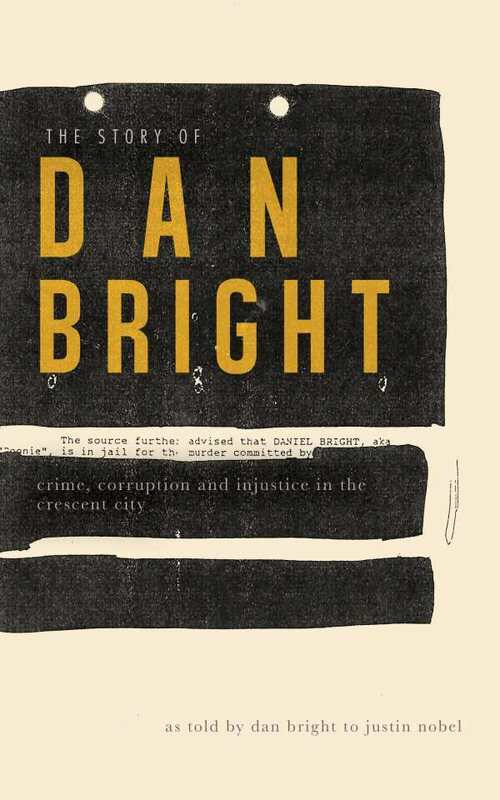 The Story of Dan Bright is a story of exoneration hard-won against a Machiavellian legal system. But it’s also the story of one man’s moral redemption as he looks back on the mistakes he made—“I was part of a genocide machine that was destroying my own people”—and looks forward to a new way of life, with newfound awareness and appreciation for those on both sides of the legal system fighting injustice every day.